With the essentials to get it all done, Office Professional 2019 is for businesses who want the classic Office apps including Outlook, Word, Excel, and PowerPoint, plus Publisher, Access, and Skype for Business. Office 2019 is a one-time purchase for installation on each licensed computer or each licensed user's device. 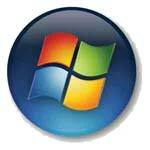 In addition to installed software, it offers access to web-based versions of Word, OneNote, Excel, and PowerPoint. The Professional Plus edition also provides access to additional OneNote features. Administrators can centrally control computers and user accounts with group policy, and they can deploy software to many users at once with volume activation. Plus, Office 2019 enables you to take control of a remote computer or virtual machine over a network connection with terminal services. Plus, safeguard digital information from unauthorized use through integration with Windows Rights Management Services (RMS) for Windows Server. Archive email right from Outlook—no .pst files needed—and set retention policies that automatically archive or delete email. IT admins can centrally manage the In-Place Archive and eDiscovery. Prevent loss of sensitive data via email with Outlook Policy Tips and Exchange Data Loss Prevention. Streamline integration and manipulation of large volumes of data from various sources and perform rapid analysis using Power Pivot native in Excel. Scan spreadsheets for errors and inconsistencies with Inquire, and view audit trails with SpreadsheetCompare. Easily communicate with others in different locations or time zones using familiar Office tools and Skype forBusiness. You can place voice calls using the Lync client or Skype for Business client, initiate a call from the contact list by typing a name or number, or use a dial pad to initiate PSTN calls. Increase collaboration and improve team productivity with site mailboxes. Access project-related email in Exchange and documents in SharePoint, all from within Outlook, with access restricted to team members who have the right permissions.